India's defence acquisition framework is considered to be one of the most cumbersome, time consuming, complex and fraught with uncertainties. 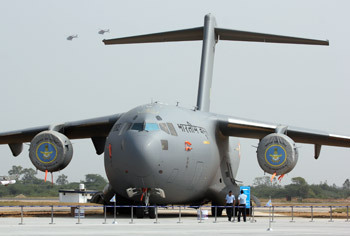 In spite of the Indian armed forces evolving into the select group of top ranking arms importers of the world and future prospects of acquiring arms worth over US$ 150 billion in the next decade, the country is managing its defence acquisitions without a proper centralized defence procurement body and through a loose ad hoc structure. In this backdrop, the reports of the defence ministry mulling to set up a new Defence Procurement Organisation would be welcomed by the strategic community. 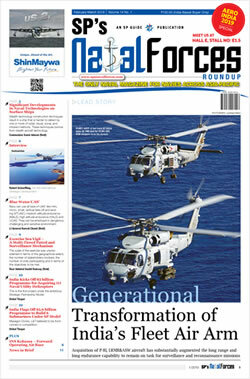 The current Defence Procurement Process has proved to be lengthy and complex, though several attempts have been made to bring in transparency and speed up the acquisitions process.The proposed DPO is intended to integrate and streamline the long and arduous process of defence acquisitions. This is expected to manage and regulate all the defence acquisitions worth billions of dollars in a very professional manner. This is also expected to assist in developing a robust defence industrial base in the country. In fact, creating such a procurement body was part of the recommendations of the Group of Ministers committee set up after the Kargil conflict to propose fresh ideas for better security management of the country. The proposed body is touted as the second big — ticket reform after the Strategic Partnership policy announced by the Minister of Defence, Arun Jaitley, which is in the final stage of getting sanction from the top decision making authority of the country. The Ministry of Defence had appointed a high powered committee under the leadership of Dr. Pritam Singh , former Director of the Indian Institute of Management (IIM), Lucknow. Dr Singh had submitted the report on the modalities of setting up the DPO to the then Defence Minister, Manohar Parrikar in February last. If the Defence Ministry accepts the report, it may take two to three years to establish a separate department of DPO under the Defence Minister. This will be an almost autonomous body which is expected to function as the executive arm of the Defence Minister. It's manpower will mainly comprise experts in legal, costing, contracting and technical issues related to armaments. The Indian defence ministry currently depends broadly on a two tiered structure for defence acquisitions . This consists of Defence Acquisition Council (DAC) which is assisted by its subordinate bodies, the Defence Procurement Board, the Defence Research and Development Board and the Defence Production Board. The Kargil conflict forced the country's top defence managers to evolve such system for timely acquisition of weapon systems and platforms but this system also proved to be very ineffective as shown by the non-acquisition of many urgently desired weapon systems and platforms in the last decade. As a result, the armed forces continue to face serious deficiencies in combat capabilities, in spite of availability of funds under the budgetary provisions. Jolted from the setbacks after the Kargil conflict, the then NDA government set up a Group of Ministers (GOM) to review national security system in its entirety. The Defence Ministry was till then acquiring weapons systems under the archaic Defence Procurement Procedures first announced in 1992. However, after the Kargil conflict the GoM recommended the creation of above structure which was set up in 2001. Since then the DPP has been revised several times, the latest one in June 2016. The Comptroller and Auditor General had pointed out deficiencies in defence procurement way back in 2007, but the ministry seems to have taken note of this only recently after the submission of the Pritam Singh report and is now working on a new acquisition body called the DPO. . The CAG in its audit report had pointed out that the basic problem of India's defence acquisition framework was its dispersed centres of responsibility and lack of professionalism in acquisitions. 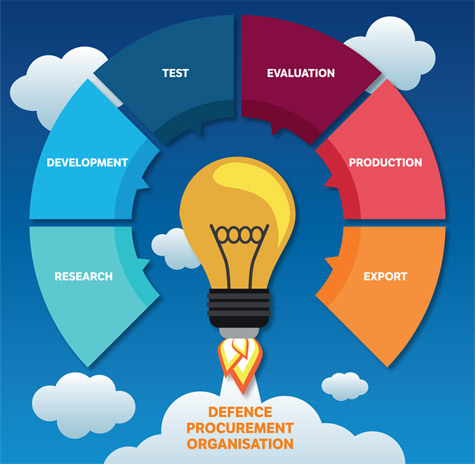 The GoM in 2001 had suggested setting up a separate and dedicated structure to undertake the entire gamut of procurement functions. 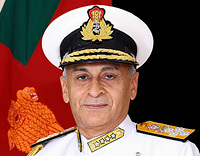 The GOM had also noted that higher degree of professionalism and cost effectiveness in the process was required in the defence acquisition system. CAG had also noted that there were too many independent actors responsible for various acquisition functions which include drafting of technical features, issuance of tender documents, undertaking of trials and evaluations, providing quality assurance and making payment to vendors. These functionaries are neither trained for their given roles nor are they given required training and time to build institutional capacity. The system evolved during last one and half decade has not yielded the desired result. It failed to ensure time bound delivery of weapon systems which also resulted in forfeiting of sanctioned budgetary provisions and also involving scams and controversies and making them vulnerable to import-centric pressures. Inability to take timely decisions also resulted in return of Rs 51,515 crores during the last one decade because of unutilised funds. Though India's current defence acquisition framework talks a lot about indigenisation and self reliance, the government has not yet been able to formalise any such comprehensive policy. The previous Defence Minister Manohar Parrikar gave a push to the Strategic Partnership plan of the government and the present Defence Minister Arun Jaitley, who describes himself as a night watchman in the MoD, has promised to give it a final shape and has also held comprehensive dialogue with the principal stakeholder, the Industry Chambers. The Strategic Partnership policy is expected to see the light of the day any time soon, but industry watchers are wary of its efficacy and acceptability across the political spectrum. This may not be bereft of controversies. Though the MoD houses the offices of DG Acquisitions and Secretary Defence Production on the same floor and even their chambers are adjacent to each other, they rarely interact and adopt a comprehensive strategy to fulfill the demand of the armed forces. The Secretary Defence Production is responsible for indigenous arms production by both state and private companies, while the DG acquisition is focused on awarding of contracts so as to utilise the budgetary provisions. A conflict of assigned duties of the two departments results in lack of coordinated planning. 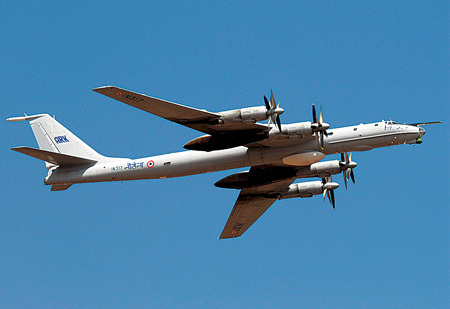 Whatever the nation's armed forces could acquire during the last one and half decades was through direct government to government agreements like the aircraft carrier Gorshkov from Russia, Hercules and Globemaster transport aircraft from USA, Scorpene submarines and Rafale fighters from France P-8-I maritime surveillance aircraft from USA. 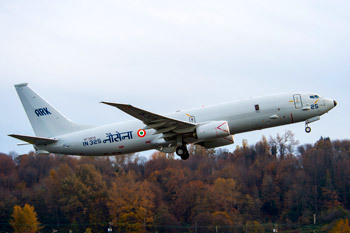 But the systems intended to be acquired through the competitive route failed to materialise like the 126 MMRCA (multi medium role combat aircraft) and the air refuellers for the air force, the six next generation submarines for the Indian navy, naval fighter aircraft, minesweepers for the navy etc. 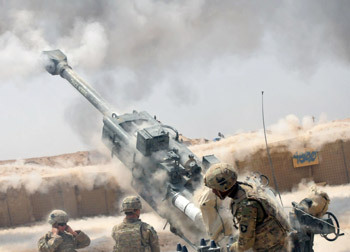 The process of ordering Howitzers guns for the Army has just commenced,one ultra light Howitzer deal through the Government to Government FMS (foreign military sales) route with USA and other under the 'Make In India' programme through the private sector Larsen and Toubro has just been ordered. 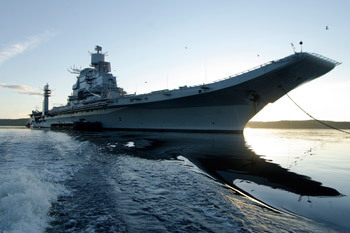 However, all these systems were acquired after many years of intense discussions in services headquarters and the MoD. Many western countries have evolved a more centralised system of procurement, which Indian defence planners need to closely watch. Countries like the UK, France, Australia etc have adopted a much more centralised system of defence procurements. The best example is of France which has been very successful in encouraging a domestic industry driven procurement system. France has developed an advanced defence manufacturing base which can produce wide range of weapon systems and platforms which also includes the nuclear arms. France boasts of meeting the defence requirements of its armed forces by more than 90 percent. 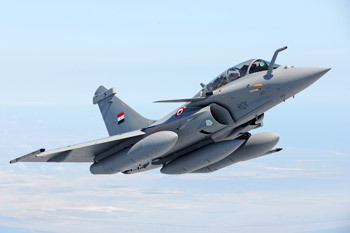 This is why the Kelkar committee appointed by MoD in 2005, in its report 'Towards Self Reliance in Defence Preparedness' recommended an examination of the feasibility of adopting the French system, which derives its strength from the DGA( Director General Armament) which is one of the three pillars of the French Ministry of Defence. The DGA takes care of range of defence acquisition functions like research, development, test, evaluation, production and export of defence equipments. The DGA is reported to have a highly professional trained manpower of around 10,000. The technical and professional competence of this hugely dedicated team has resulted in most coherent administrative system that has resulted in France fulfilling over 90 percent of its defence needs domestically. Unlike France the manpower associated with defence acquisitions in India are drawn from civil bureaucracy and from the armed forces. Most of them lack experience or expertise in acquisition issues and are not well versed in complex legal, contractual and technical matters because of their short term deputations in ministry of Defence. This is proving to be a big hurdle in spearheading the 'Make In India' programme of the Government. Keeping this in mind many defence industry experts have recommended the creation of a dedicated acquisition cadre in the various acquisition disciplines. The proposed DPO will have to be structured in such a manner that it is able to efficiently utilize the huge funds earmarked each year in the defence budget.